Hailing from Atlanta, K Camp is perhaps best known for his hit songs, Comfortable and Cut Her Off. Not long after signing with Interscope Records, he released his debut EP titled, In Due Time in 2014. A decent hit, it yielded him a decent amount of attention in the hip-hop scene. Since then, he has churned out several additional projects including Only Way is Up his debut album. 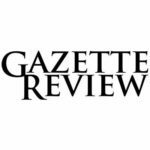 Well received, it went on to spawn three siblings, two of which received RIAA accreditation. Currently, the 27-year-old is working on a new album called, Selling Blow. How financially successful is the rapper? How much has he earned from record sales and the like? From our research, K Camp’s current net worth hovers around the $2 million mark. How did this fortune of his come to be? What are his most profitable projects? Hopefully, we’ll be able to answer these questions for you below. How did K Camp Make His Money & Wealth? 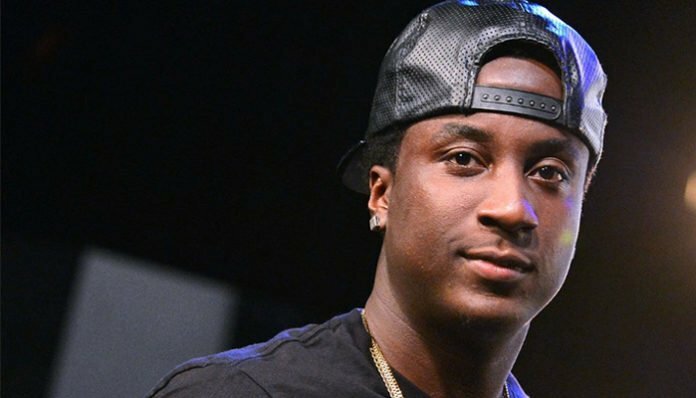 Born on April 27, 1990, in Milwaukee, Wisconsin, K Camp was brought up in Atlanta, Georgia. Introduced to music at a young age, some of his favorite artists growing up included The Notorious B.I.G., Tupac Shakur, and Andre 3000. As a teen, he eventually began to perform as a member of a group called Head Busser Clique. Ultimately, it was after they had disbanded that he started to perform as a solo artist. After the group broke up, K Camp found himself performing at a number of open mic contests in the area. As one thing led to another, he eventually released a remix titled, All Night in 2009. A surprise hit, it caused his popularity to rise significantly in the Atlanta music scene. Inspired to take rapping more seriously, he was later able to score a music deal with Interscope Records. Shortly afterward, he released his debut extended play, In Due Time. Made available as a digital download, it charted at number 60 on the US Top R&B Albums chart and at number 24 on the US Rap Albums chart. That same year, he also delivered two mixtapes, SlumLords and K.I.S.S. Part 2. In the fall of 2015, he released his first studio album, Only Way is Up through Interscope Records. Preceded by two singles, it entered the Billboard 200 at number 20 with 11,000 sales in the first week. Later on, the album also reached number five on the Top R&B Albums chart. Continuing with his rap career, he released Lyric Ave a year later in September 2016. Well received by fans, it reached as high as number 26 on the Billboard 200. Since then, K Camp has also dropped the mixtapes RARE, K.I.S.S. 4, and SlumLords 2. Naturally, a significant portion of his wealth comes from his record sales. Today, his most popular singles include Money Baby, Cut Her Off, 1Hunnid, and Comfortable, all of which have received RIAA accreditation. As a featured artist, he has also worked with Snootie Wild, Lil Boosie, J. Stalin, E-40, and Curren$y, to name a few. No, he isn’t married. As far as we know, K Camp is currently single. Does K Camp Have Any Children? As far as we know, K Camp does not have any children. Did K Camp Go to College? From what we know, K Camp did not attend college. What is K Camp Famous For? As a rapper, K Camp is best known for his singles Cut Her Off (Feat. 2 Chains), Money Baby (Feat. Kwony Cash), Comfortable, and 1Hunnid (Feat. Fetty Wap), all of which have gained RIAA certification in the US. K Camp currently lives in Atlanta, Georgia. Photos of his house are not available. What Kind of Vehicle Does K Camp Drive? Information on K Camp’s vehicle is unavailable at this time. How Much Money Did K Camp Make Last Year? Information on K Camp’s annual earnings for 2017 is not available. Last year, K Camp released a couple of mixtapes, as mentioned earlier; these include K.I.S.S. 4 and SlumLords 2. Around that same time, he was also featured in Snoop Dogg’s hit track, Trash Bags. In terms of upcoming projects, he is currently working on an album titled, Selling Blow. Want to support the artist online? If so, how about following him on social media? You can find K Camp on Twitter at @KCamp or on Instagram at @KCamp. On Facebook, you can also like his official fan page here.